“We have lost too many children in this state to senseless gun violence. This law is not the solution to the problem, but it is a step in the right direction. 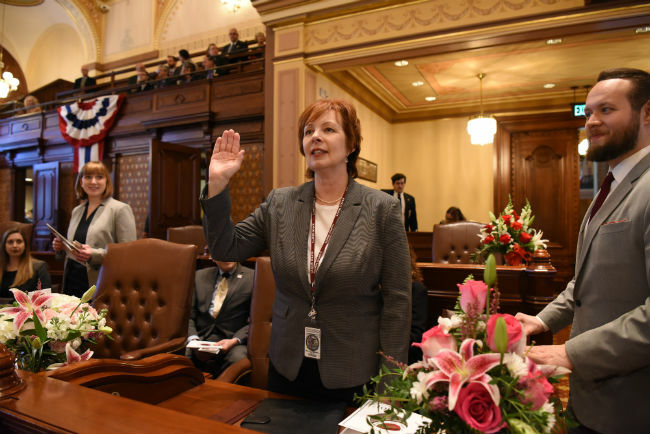 SPRINGFIELD – Barring state agencies from asking prospective employees about their salary histories is a good move by Illinois’ new governor on his first day in office, State Senator Ann Gillespie said today. “Gov. Pritzker seems to be off to a good start. Moving swiftly to eliminate gender bias in the state’s hiring process is long overdue,” Gillespie (D-Arlington Heights) said, reacting to the governor signing a series of executive orders and legislation this afternoon. 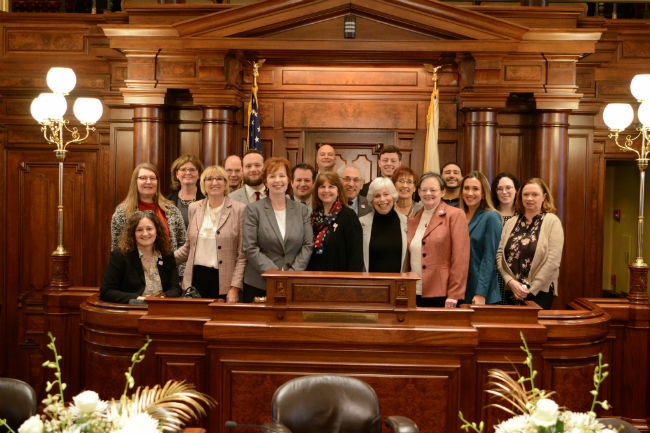 SPRINGFIELD – Increased wages for working families, access to affordable health care, property tax relief for suburban residents and robust investment in education are priorities for State Senator Ann Gillespie, who was sworn in today for her first term in the Illinois Senate. “I am thrilled to join the Senate and I’m eager to get to work on behalf of residents of the northwest suburbs,” said Gillespie, a Democrat from Arlington Heights. Gillespie, 59, a retired health care industry executive, sought a seat in the Senate after attending the Women’s March in Washington, D.C., in 2017 and getting involved in grassroots organizing. She represents the 27th Senate District, which includes a portion of the northwest suburbs, including the communities of Arlington Heights, Barrington, Des Plaines, Hoffman Estates, Inverness, Mount Prospect, Palatine, Prospect Heights and Rolling Meadows.